We conclude this Thursday with a retro review. 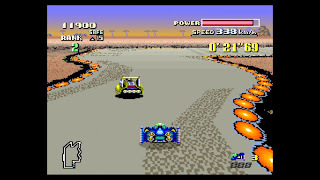 F-Zero is a popular, but severely overlooked by Nintendo series that always brings with it intense speeds and careful precision racing. 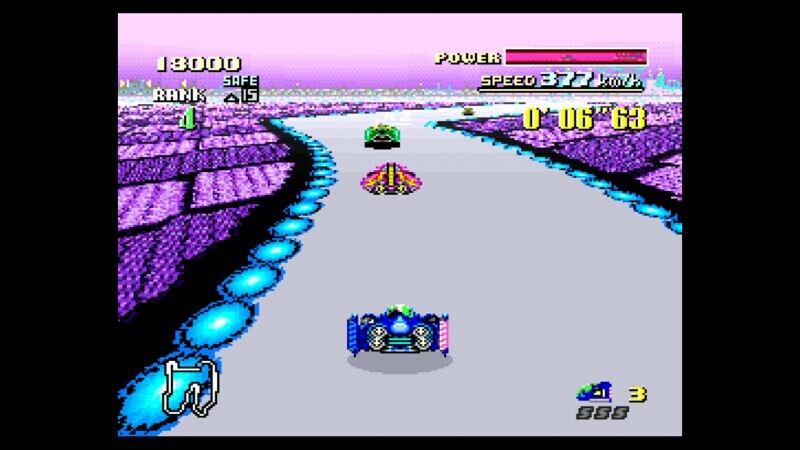 With our review of the original F-Zero (available now on the Wii U Virtual Console), we take a look at the franchise's humble beginning. 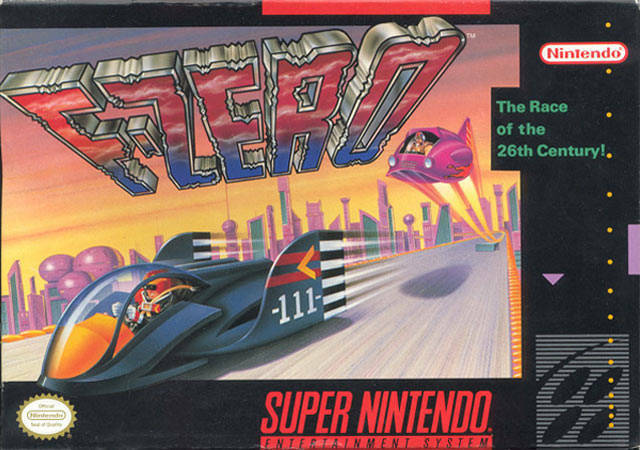 Back at the Super Nintendo's launch, a new IP named F-Zero debuted, and it took racing to new speeds and to a futuristic setting. The F-Zero franchise is now one of the most wanted series that fans want Nintendo to return to, and for good reason. Its fast, futuristic racing on tracks that loop, spin, twist, twirl, and rise to the heavens has made many gamers' hearts race. 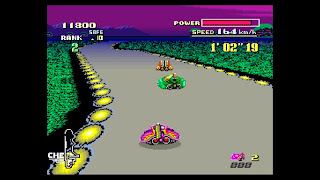 However, all things must start with a beginning, and before the fully 3D versions of F-Zero X and F-Zero GX came to be, the F-Zero series started out with flat track design. That notwithstanding, the original F-Zero was still a technological marvel, being one of the first Super Nintendo games to use Mode 7 graphics to create the illusion of 3D. See why the beginning of the F-Zero franchise on the SNES is still worth a look with this review. 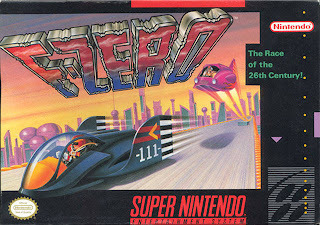 F-Zero is a racing game that takes place on futuristic courses suspended in the air. Of course, the technical limits of the Super Nintendo made it impossible for the tracks to actually look like they were high above the ground, but you work with what you've got. 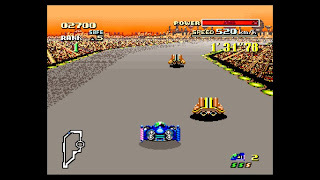 The aim of F-Zero is to compete in several cups, each containing five races each. Unlike Super Mario Kart, you don't earn points for winning races that tally up to make you the overall winner after all five races have been completed. Instead, the goal of F-Zero is to stay qualified and not retire. Captain Falcon shows us his moves. As each of the five laps of a given race are completed, the minimum place that you can get before being forced to retire gets stricter and stricter. While the first lap of a race only requires you to be in at least the fifteenth position, the last lap requires you to at least be in third place to continue onto the next track. Then there's the worry about your vehicle. 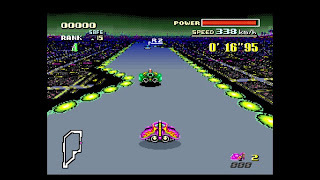 Of the four playable vehicles in the game (yes, a small number compared to what would be available in F-Zero X and F-Zero GX), each handles differently and comes with its own stats. For instance, the Blue Falcon serves as the well rounded type while the Fire Stingray is a brute that has the highest max speed but the worst acceleration. meaning to the term "snaking." You need to be wary of your machine's health during a race. The tracks are lined with hazards-- even the walls are dangerous! If your vehicle's health is empty, you will retire from the race. If your vehicle leaps off of the track, you will retire from the race. Losing a machine means losing a life. Run out of lives, and it is game over. Thankfully, each track has a pit stop area that you can quickly speed through to recover a slab of health. 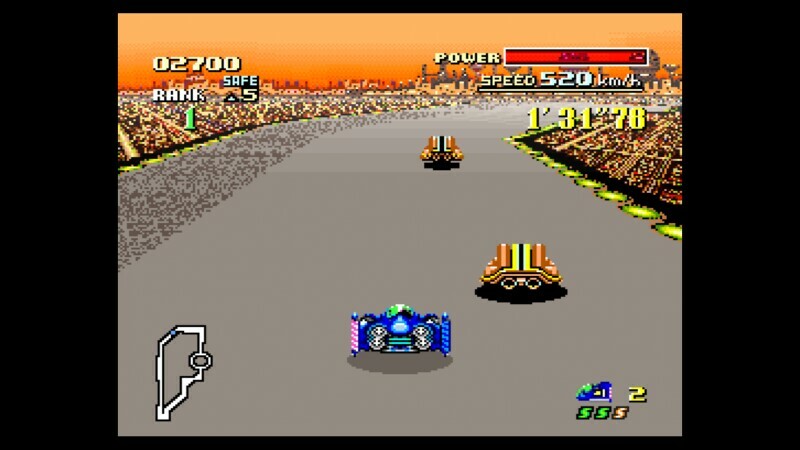 There are three leagues in F-Zero, sporting five races each, adding up to fifteen tracks total. The leagues range from easy like the Knight League to the King League which is the hardest of the three. Tracks are oftentimes windy, offering some brutal curves that will put your racing prowess (or lack thereof) to the test. Some tracks contain jumps, some contain mines, and some have patches of track that are harmful to run over. The track design is quite good in F-Zero, and it provides a nice challenge to the player. Speaking of challenge, F-Zero will put you through the ringer. It's not difficult because of poor controls or unfair AI. No, it is legitimately a hard game, so if you're not in the mood to try, try again on that race you just can't seem to beat on that difficulty level you just can't seem to pass, you should look elsewhere for your retro racing fix. The controls in F-Zero feel quite nice. Of course, I have no reference as to what cars that hover above a track handle like, but I imagine F-Zero's machines handle just fine. You can tap the accelerator to more gently careen around corners, you can use the super jet to get a burst of speed (once per lap), and you can use the shoulder buttons to shift your vehicles weight for better handling. One of the two things that glare out at me the most concerning F-Zero's faults is the total lack of multiplayer. It seems like such a shocking omission for this type of game. Secondly, the practice mode only allows you to race on seven of the fifteen tracks. This means you cannot practice on the more challenging races or participate in time trials for them in a single race affair. I would have thought I could have unlocked more races for practice mode, but no matter what league on what difficulty I beat, I never earned more tracks to try out. Disheartening, and makes for frustration when your first try on a track goes horribly because you couldn't practice it. And you WILL need to practice for some of these tracks (e.g. Fire Field). F-Zero is a magnificent showcase of the Super Nintendo's power. The Mode 7 visuals allow for 3D-like tracks that still impress to this day. The frame-rate is super smooth, only further contributing to the awesome sense of speed F-Zero provides. The soundtrack features some very catchy tunes like Mute City and Silence, which continue to amaze my ears. Despite lacking any form of multiplayer and being a truly tough game, F-Zero is a worthwhile addition to anyone's gaming library-- especially fans of futuristic racing or a racing game outside the norm. This 1991 classic is still a very capable racing title that dazzles as well as entertains. 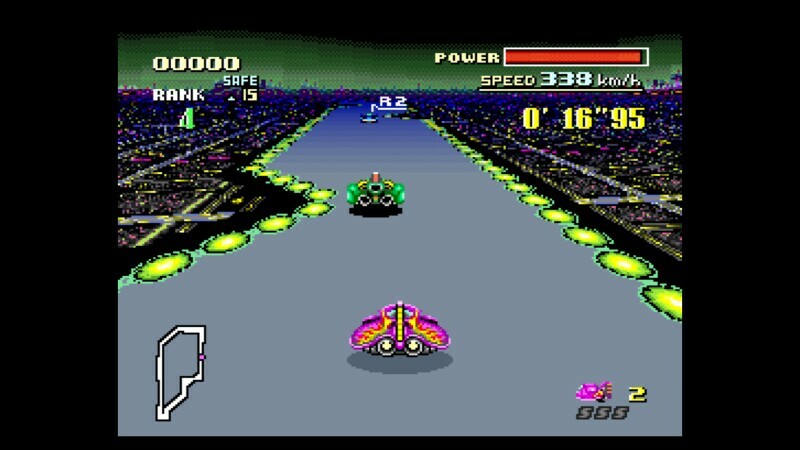 F-Zero is the type of game that allowed the Super Nintendo to show its moves, and now you can show F-Zero your moves too.